Today I have two adorable cards for a VERY special blog hop by my brave, honest, beautiful, sweet friend Lea. Please visit her blog (Lea Lawson Creates) and read her incredible story!! Oh, I am super honoured to be a part of this extremely amazing blog hop. It is Not only a fundraiser, but also a super inspiring blog hop with MANY stops along the way! Here is a mood board Lea created! I and all other blog hop participants made projects inspired by this beautiful picture! As soon as I saw the mood board, I knew I used the Simon’s Picture Book Animals. I used the Otter and the Lion dies. For the base or frame, I used the SSS Cream, Fog Gray, Sea Glass card stocks along with other colours. 2. SHARE! – sharing about the fundraiser gives it more visibility! Please feel free to share the YouCaring Link or this post on all your social media outlets! 3. SHOP! 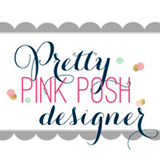 1) Pinkfresh Studio will be donating 10% of today’s sales, and offering a 15% off discount to you for shopping! 2) CAS-ual Fridays Stamps will be donating 15% of their sales thru May 19th. 4. CREATE! – this is also a card drive. Lea will be including handmade cards with the giftcards when she hand them over to the NICU social worker! Link them up HERE, and then please email Lea (lea@lealawsoncreates.com) to get the address for sending – and note that she will need them to arrive by May 31st. This entry was posted in Guest Designing, Simon Says Stamp and tagged Blog hop, Simon Says Stamp. Bookmark the permalink. Love your card and story!! Fantastic, you put your heart into this, my sister in Christ. Awesome cards, what a great cause for the fundraiser and card drive! so cute! The picture book dies are my favorite! Really cute cards. Perfect for this cause. Thanks for taking part. Sweet, sweet cards ! Thank you for supporting this heartfelt drive ! Love your paper piecing on these cute animals. What an awesome idea. Yoonsun, your cards are so sweet, beautifully done as always. I absolutely love those picture book creatures! Awesome cards for this card drive/blog hop!! The picture book critters are perfect for this drive. Great job. Your cards are so soft and clean ! Very lovely ones ! Congratulations on participating in this blog hop ! These are so, SO cute, Yoonsun! I ADORE them!